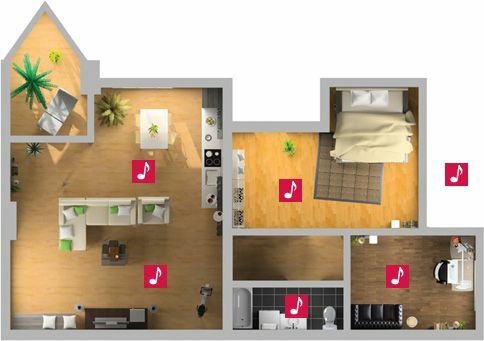 Have you always wanted the ability to listen to the same song throughout your home seamlessly without diminishing the quality? Well, you are in the right place here at Home Media with our professional expert AV installers in Maidstone. Whether you want to make sure your friends can enjoy music at a party in any room or make the most of your outside space with outdoor audio that packs a serious punch; we can help. Our specialists are always happy to talk AV requirements, so if you just want some advice or for us to design a bespoke AV system then don’t hesitate to contact us. We understand that you want the performance but without equipment ruining your interior design and we will work tirelessly to hide all the speakers expertly to maintain the room as it was before. Give our friendly team a call on 01622 676703 or pop in the store for a chat and a cuppa.